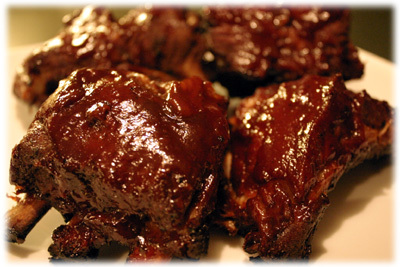 There are few recipes more hotly debated then favorite BBQ ribs recipes for the grill. 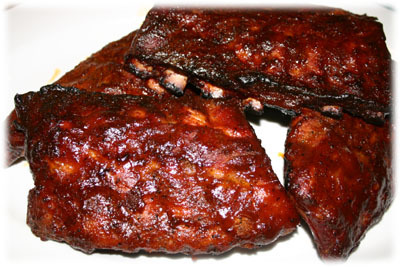 The debate on cooking ribs surrounds everything you could imagine from using a bbq sauce versus leaving them dry, whether you should wrap barbecued ribs in foil to finish cooking them (Texas crutch), all the way to boiling or not boiling them before finishing them on the grill. One group of very vocal BBQ enthusiasts proclaim that boiling ribs is the absolute worst thing a person could do, almost a criminal offense. Another group quietly goes about their business of simmering them in their favorite concoction and then finishing them off on the grill or in the oven. Me? I just love to cook good tasting food. I'm not here to tell you whether you're right or wrong if you like your ribs one way or another. I'm just here to give you different options and grilling recipes. You decide what you like and don't like. 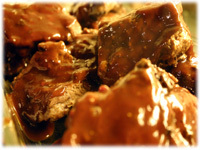 Here's a perfect example, learn how to cook ribs simmered in Pepsi or Coca Cola for a couple hours and then finish them off on the grill with your favorite BBQ sauce. Some folks love them done this way. Others, well, let's keep it a secret. 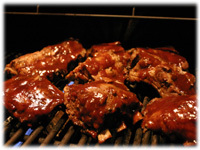 Tip: visit our BBQ Sauce recipe collection here. 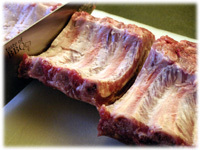 One of the most important things to remember is to remove the thin membrane on the back of the ribs (called silverskin). 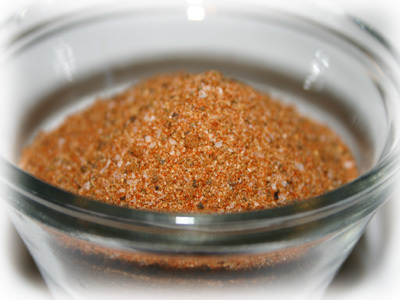 This helps prevent them from curling as they cook, makes them a little more tender to eat and may also help marinade penetration. After removing the membrane cut the 2 rib racks into pieces about 3 - 4 ribs each. 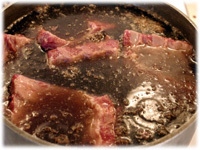 Place the ribs meaty side up in a large pot. Pour in the Pepsi or Coke to completely cover them. 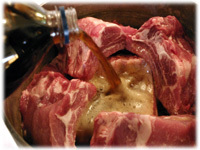 Bring the ribs to a gentle simmer and begin cooking them for about 2 hours in the Pepsi or Coke. Keep the lid on the pot but slightly skewed to leave a gap so that steam can escape. Clean and oil the grates and preheat the grill to 475F - 525F. 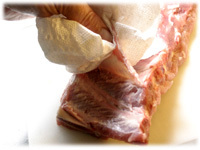 Remove the ribs from the pot and place them on a large tray or pan. 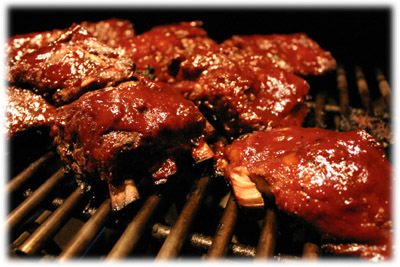 Prepare the bbq ribs for the grill by pouring your favorite BBQ sauce over them completely covering them. 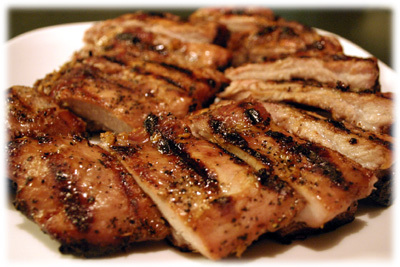 When the grill has reached cooking temperature place them on the grill bone side down and cover the lid. Check after 20 minutes, the sauce should be carmelizing slightly and getting sticky and the meat should look like it's falling off the bones. Go ahead and remove the bbq ribs from the grill and serve immediately.